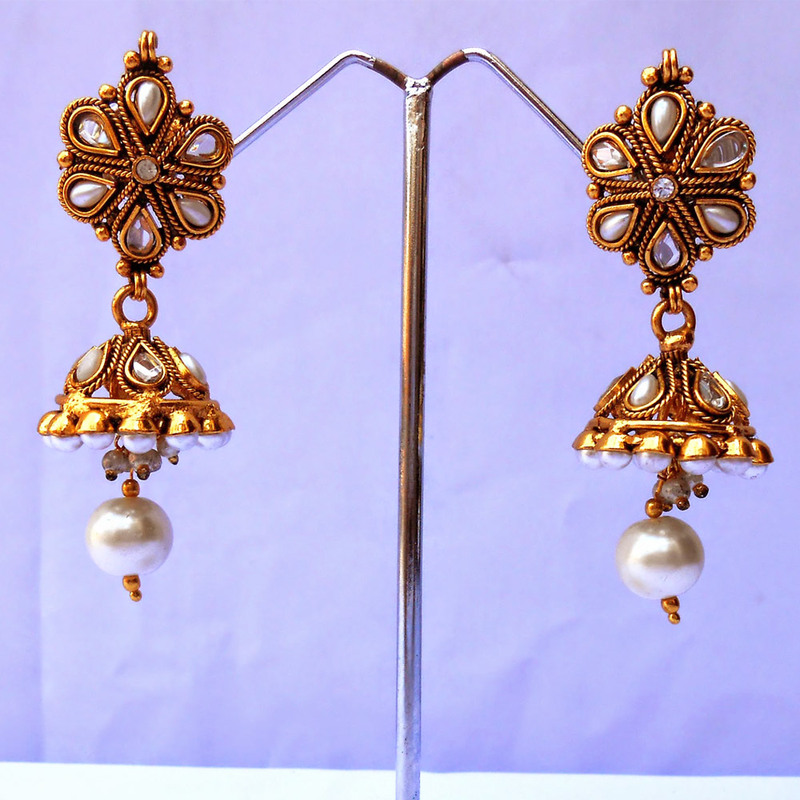 The kundan stones and pearls combine to render a predominantly white shade to this pair of white kundan jhumki earrings, which is sure to have Read More..a lot of appeal to women not fond of loud and brash jewelry pieces. The teardrop shaped kundan stones and pearls featuring on the floral shaped stub add dollops of feminine grace, while the jhumki portion serves to make the earrings look extremely pretty. Finally, the pearls hanging from the jhumki nicely wraps up this exquisite piece. Show Less..